ICOMOS, the Irish Georgian Society and Limerick City Council are holding a conference at City Hall Limerick on May 10th entitled LIMERICK CITY: HERITAGE & REGENERATION. Unfortunately I won’t be able to attend which I’m a little annoyed with myself about because planning and development in the Georgian area of Limerick is something I’m particularly interested in. Here’s the potted version. The area we refer to as the Georgian part of Limerick was built in the late 18th century by the local land owner, Edmond Sexton Pery (a fascinating man in himself, but I digress). What he did was sell off leases to builders and developers (some of them Catholic, btw, which in itself is an interesting story, but again I digress) and let them build four and five storey Georgian style houses in an area about half a mile wide and a mile long, south of the old, walled, Medieval city that Limerick then was. The most interesting thing about the development, which over the years has come to be known as Newtown Pery, is that it was built on a grid iron. In other words, he divided up his land into a geometric pattern of streets running north/south and east/west in the way you’d find in New York, Philadelphia, Glasgow, Bristol, Berlin and parts of Belfast. It doesn’t mean that you end up with the warrens of twisty little romantic streets so popular with visitors to Galway, but it’s a very efficient way to plan. And its certainly quite unique in the Irish context – if you don’t count Derry. 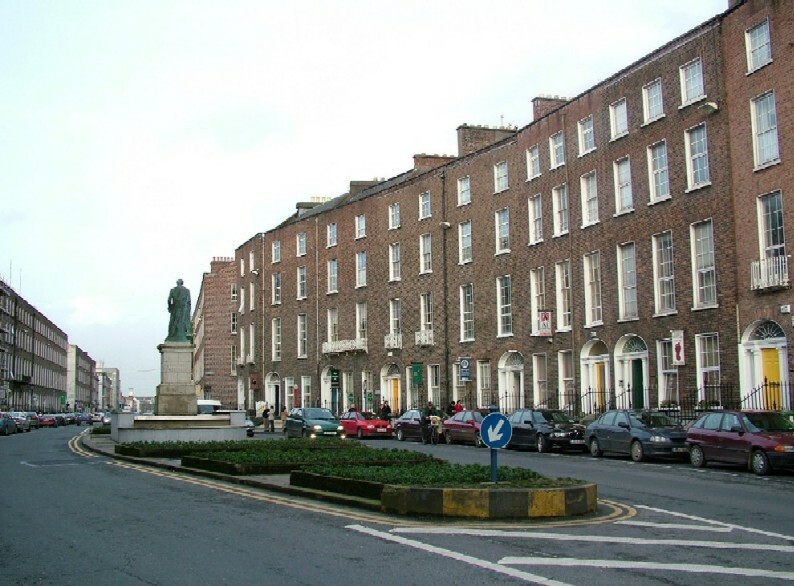 The houses themselves are a grab bag of the good and the indifferent: in its original condition the Bishop’s Palace on Henry Street, for example, might have ranked with the architectural ‘premiere league’ houses on Parnell Square in Dublin. The Tontine terrace on Pery Square is also very nice. As for the rest, I’ve been inside some Limerick Georgians along O’Connell Street which are almost untouched since the day they were built in 1800 and, well, lets say they’re more ‘division two’. (One little aside – by the 1840s, Sexton Pery’s plan for Limerick had run out of steam. While the roads and services were already in place, large plots of land which had been earmarked for more Georgian houses were left undeveloped. That is until the Celtic Tiger came along and suddenly all the sites on Henry Street which had been practically vacant for more than two hundred years were snapped up by local developers. What happened since (Dunne’s Stores, Howley’s Quay, The Clarion) has been hailed as a model for urban development. What people forget is that this development would never have happened were it not for the existence of a 240 year old development plan which, for all the guff that’s been written since, remains the best development plan ever written for any part of Ireland). Now to the legislation. Come the Planning Act of 2000 and subsequent Limerick City Development Plans, hundreds of Limerick’s Georgian houses (which, by this time, were almost exclusively used for commercial purposes) were included on the Record of Protected Structures, i.e., ‘listed’. Those which weren’t listed were included in a new Architectural Conservation Area. At the time we all thought that taking an interest in the built heritage was a step in the right direction: the new legislation, we naively agreed at handfuls of forgettable seminars, would bring ‘new life’ to places like Georgian Limerick – regenerated residential areas with trendy apartments for young people, cultural diversity and all that good stuff. In other words, we hoped for the best, but things turned out as usual. Over time, it emerged that Limerick City Council (for all sorts of reasons, not necessarily the fault of the planners - at least not all of them (but one or two really did bring a… will we politely call it an ‘unbridled obsession’ to the conservation of old buildings never before seen in a western democracy) was treating applications for buildings in the Architectural Conservation Area as if they were for listed buildings, and treating applications for listed buildings as if they were Notre Dame Cathedral in Paris France itself, such was the level of detail required to be submitted on door handles, floor mats, light switches and so on. In other words, things had quickly gotten out of hand. I’m only half joking here: see the picture below? The owner of this ‘listed’ building (1920s, and hacked to bits after years divided up into dodgy bedsits and wouldn’t even make it onto a list of historic structures anywhere else in the world not even Disneyworld, Florida itself) had to submit drawings to the local authority showing exactly where light switches and power outlets were to be installed and the route that the cabling to these switches was to take. I don’t want to harp on about how bad things got in Limerick, but do you remember back in Dispatch 1 where I reported on a planning application where, in order to get the planning authority personnel to agree amongst themselves a way forward for a protected structure, the applicant was forced to get a local TD to convene a meeting of the relevant officials? Well, the building in question was located at 4 The Crescent, Limerick. The TD was Fianna Fáil’s Peter Power. The owner is a gentleman called Philip Culhane. The issue was that the Fire Officer wanted ‘fire lobbies’ built on each floor, the Conservation Officer wasn’t having any of it. Expensive, forty page plus conservation reports written up by the conservation consultant (myself as it happens) as well as detailed architectural specifications prepared by a long established and respected Limerick architectural practise were essentially ignored as the officials duked it out in a petty little power struggle. It cost Philip a lot in time, money and stress (his letter to me on the subject is in the next section). We’re now in a position where unrenovated Georgian houses in the southern area of Newtown Pery are being placed on the market at €800,000, which is less than what they were making three or four years ago. Renovated Georgians are making about €1.2 million. And the cost of renovation is running around €700,000 to €900,000. In other words the figures don’t add up. In a secret case that the entire population of Limerick came to hear about and which happens to be true, the price of a quality Georgian was slashed overnight when the buyer discovered the lengths he’d have to go to get planning permission for a simple renovation. 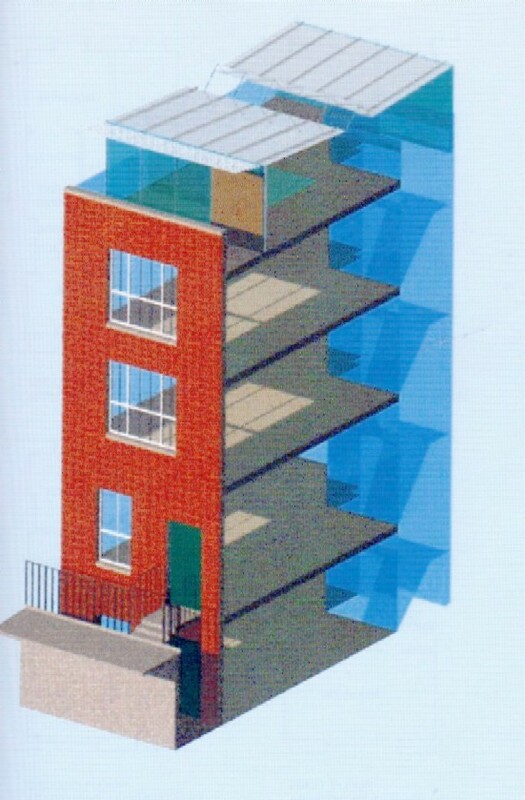 And this is the reason why some Limerick architects are now openly (nearly all the rest secretly) suggesting that clients steer clear of listed buildings. Reduce the number of listed buildings within the Georgian area to those of genuine quality. I’m talking about a scoring system here, where buildings scoring better than, say, 80 in a number of different categories (architectural quality, age, rarity of type, etc.) are considered for listing and those falling short of the mark don’t even make it to public hearing. Decide which of the ‘80+’ buildings are to be listed only after public hearing and by vote of a newly constituted Munster Historic Buildings Committee comprising the local worthies and wags who have an eye for architectural importance or enough experience of civic life to understand the serious financial and planning implications that listing has on a citizen’s property. I’m sure the likes of Nuala Kernan, Hugh Murray, Michael Noonan, Louise Cotter, et al, would have no difficulty in sitting on such a committee for quarterly meetings to decide on such matters. Where applications are made to Limerick City Council for development to listed buildings, the proposals should be adjudicated by the same Munster Historic Buildings Committee mentioned above, as opposed to the current situation where absolutely nobody (nobody that is, except the conservation officer, the local area planner, and the heritage folk at the Department of the Environment and occasionally An Taisce) has the remotest idea how decisions relating to listed buildings are made. Include all other structures within the Georgian areas (i.e., those not good enough to list) in an Architectural Conservation Area and use this designation to speed up the planning application process, rather than the reverse. For example, it would be an easy matter for city hall to keep some samples of acceptable sash window types, paint colours, mortar repair panels, cleaning techniques, slate finishes etc., in a little room so that when the owner of a building in the Conservation Area simply wanted to renovate the main façade of his/her building, he needn’t go through any planning process at all – he could simply agree to use the materials and techniques which the planning authority had already approved, send a note to this effect to the planning office and let the conservation officer on site every now and then to make sure everything is on the straight and narrow. Changes to the interior of structures located within the Conservation Area should only be a matter for discussion if they’ll have an impact on the external appearance of the building, in which case they get referred to the Munster Historic Buildings Committee. I’m not going to go on any further because I think you get the idea and, besides, if you read the Ireland V New York piece in Dispatch 8, you’ll know I’m repeating myself. Anyway, if any of you are planning to attend the seminar in Limerick City Hall on May 10th and you happen to think I’m making some kind of sense, you might do me a favour and toss a couple of these ideas around. Treats for everyone who paid attention. If you are as soccer crazy as I am, this first link is incredible. If soccer’s not your thing, go straight to the second link.